Choosing to Stand Still has been accepted for publication—Again! I recently discovered that the website where my short story, “Choosing to Stand Still” was being hosted was taken down, as the literary magazine changed sites and didn’t move its archive pages. Seeing as it was without a home, and the rights to the story had long since reverted to me, I started shopping it out to see if I could find a new home for it on the web. Mission accomplished! In August, “Choosing to Stand Still” will be published at Fiction on the Web. I will follow up as soon as I have more information. Thanks as always for standing by me and for your unending support. Oh, and I’m in a twitter competition—the most votes gets me further in the contest. If you like my pitch, you can vote by liking or retweet the tweet on twitter. Thanks again for all of the wonderful things you do! You guys give me the strength to keep at it day after day. “Blue Ice” has been accepted for publication! I have some great news today! My latest short story”Blue Ice” has been accepted for publication!! “Blue Ice” is the story of a woman forced to confront her sister’s abusive husband at the funeral ceremony being held in his honor. It’s one of my weirder stories, and I’m really excited about it. I’ll give you a quick taste now. Here’s the opening line. The piece will be published in the Spring/Summer issue of Corvus Review. For now, stay tuned for when the story goes up. I really can’t wait to share this one with you. Thanks as always for remaining awesome and supportive! It’s true. We have no idea. However, we often remember our line of thinking when we’ve come up with some of our ideas. So where have some of mine come from? How different are their origins? Do some story elements come from different places? Let’s talk. I’ve had stories arise from concepts I wanted to explore. The Order of the Key was about me trying to create a strong female hero from a geek who has been raised loving superhero media. Lucy Dies in the End was really solely about that concept–I literally just thought about the title and how cool it would be if Lucy herself was the one to say it. I’ve always been drawn to Greek mythology and Aphrodite in particular, which led to Never Say Never. My interest in past lives played into my ideas for the mystery behind Living in the Past. I’ve had stories arise from dreams. Often when I have these, they play out before me like movies. Legally Insane was about a dream I had about a hidden relationship in a workplace. The present day tale in Living in the Past comes from a very vivid dream I had about a woman strongly connecting with a man and coming home with him, only to stumble into a mystery involving his son. I’ve had stories arise from mundane reality. Like the lead character in The Order of the Key and Legally Insane, I am a geek. Legally Insane is largely about work in a law firm, which happens to be my day job. The concept of Lucy as Lady Justice in Lucy Dies in the End came from staring at Lady Justice during various court case searches at my job. My parents’ divorce heavily inspires some of the debates on long term relationships in Never Say Never. Dating experiences of my friends helped inspire other portions. And the characters work in an ice cream shop. My first job was at a Carvel. Choosing to Stand Still was a sort of wish fulfillment, regarding a pair of best friends I knew that I thought belonged together–if you’ve read that one, writing it made me realized they were right never to pursue that route. I’ve had stories arise from conversations. The backbone of Legally Insane involves the main character visualizing a character from her favorite television series prodding her to be strong in the face of a major life change. This came from a joke that was made when chatting with fandom friends about Jack O’Neill, a wise-cracking character from Stargate SG-1. My friend said, “I wish I could take him around in my pocket to smack some sense into me.” From there, the idea was born. I’ve had stories arise from fears. Without spoilers, the fear of losing a child played into The Keys & Guardians series plan heavily. Things You Can Create arose from the fear of the kinds of torture I could carelessly visit upon my characters. It is, unsurprisingly, my first short story. I’ve had stories that arise from past trauma. One Percent is an exploration of my descent into anxiety prior to spinal surgery. One Headlight was born of the death of a friend, one who died in a car accident on the way to college. Tunneling dealt with my experiences with dealing with alcoholics. The Peace of Completion and Release dealt with some wish fulfillment regarding the aftermath of my sexual assault. Blue Ice dealt with the issue of domestic violence, handled by a third party, looking in. What does this tell you? Stories come from so many different places. Some of the things on this list were planned. Some were things that spilled out of me once I began to write. But all of it were things I drew upon to create stories that meant a lot to me. What does this mean for you? It means inspiration can come from anything. It can be a mix of many things. So collect writing prompts. Collect interesting factoids. File away tidbits about the people you meet. But most of all, experience. Live your life with a keen, attentive eye and look at all you see around you. Every bit of your life experience, even the bad things can be weaved into the fabric of a story. So how do you find the elusive creature known as inspiration? The answer is simple. Live. Inspiration is a strange thing. Sometimes, it comes you to in a word. A phrase. A sentence. Sometimes, you have a dream. Sometimes, it’s a what if. In my next blog post, I’ll probably go further into ways I’ve been inspired to write the stories I’ve composed in my life. I’m not sure how inspiration works with other writers, but with me, it always seems to show up in a way where I can tell what the final piece will become. Short Story? Novel length? I usually know how far I can pull each thread when it appears. And so, I tend to find my planning so very different for each. On this blog, I once discussed the difference between a pantser and a plotter, and I very firmly stood on the plotter side, but with some flexibility. But as I’ve begun working on new short stories, the first I’ve written since truly completing my first novel, I’ve realized something odd. I’m not a pantser or a plotter. I’m both. When it comes to working on a novel, I am an obsessive planner. I write forty page long outlines with clips of scenes and setting and history and descriptions, etc. I like to be ready, so when I sit down to work on the story, I know all the details and I can create without being stopped by questions about where I’m going or what role certain things will play in the story. That being said, I still surprise myself, and I try to stay open to changes when they occur, and reshape my outline every few chapters to make sure my direction still makes sense. When I’m working on a short story, it’s very different. Sometimes, I come up with a concept I want to play with. Sometimes, it’s just a word. Sometimes I get a story prompt. Sometimes, the idea pops out of my head fully formed, like Athena emerging from Zeus’ axe-split noggin. Sometimes, the idea comes out in dribs and drabs. I’ll write a paragraph at a time, when the mood strikes. I’ll revisit it and write a few lines of dialogue. I’ll find another story prompt that will revitalize it and I’ll start writing it full time again. Often, I’ll just write with no idea where I’m headed, and see what happens. Then I’ll go back and re-read it all and add and subtract as needed, once I’m sure I have something that might vaguely resemble an actual story. I am currently working on one of those piecemeal short stories, and it made me think about how different the processes are. Short stories are a short, frozen moment in time. You have to say so much more with so much less, and for some stories, it’s impossible. Some are just too big for that. In short stories, every word must count to explain the situation, to create the mood, to give us enough of the character that we care for them in a few short pages. In longer stories, you have time to grow the character, to slowly reveal the plot, the setting. You can go into much more detail, have so many more words to work with. Perhaps this is why the outlining for a long story is so intense for me. Perhaps with short stories, I’m telling a story frame by frame and worrying less about the background, about who these people were beforehand and will be later. Because all that matters is this moment in time, and what they do with it. And the only thing that needs to inform that is their actions in that moment. Or maybe the writing brain is magical and there is no rhyme or reason to it. For all my writers out there, what methods do you employ when outlining a short story? A novel? Let’s chat! “The Peace of Completion and Release” is now available! My flash fiction story, “The Peace of Completion and Release” is available at Twisted Sister Literary here. This one is very creepy and potentially triggery, so please read at your own risk. Thanks again for all of your love and support on this incredibly packed and amazing week! One Headlight Has Been Published…and more! It has been a strangely wonderful week, and we’re only on Tuesday. 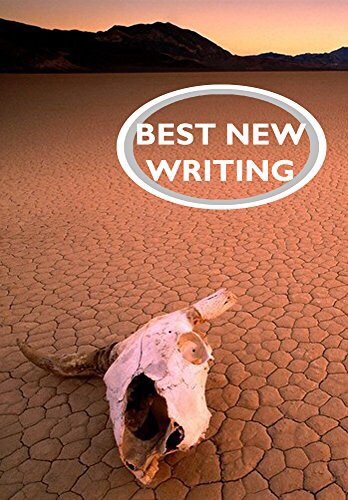 Today, Hopewell Publications released Best New Writing 2017 for purchase on Amazon. A collection of short fiction, Best New Writing features finalists for the Gover Prize for Short Fiction. Though I didn’t win that award, my short story, “One Headlight”, was awarded The Editor’s Choice award. “One Headlight” is the story of a group of high school friends coping with the loss of one of their own. You can read it and many other wonderful short stories, here. The collection is on sale for a limited time at 99 cents. I’d love to hear your thoughts.